This special member of our team is the office manager and happens to be my father. He has extensive career qualifications and life experience but beyond his business experience. It is his patience and warmth that keep our operation running smoothly and ensures an enjoyable experience for all. As we have developed our team, Charles has taken more time to travel and enjoy personal time. He is still a trusted rock and advisor for the practice. When in town, he comes in to provide advisory oversight, work on special projects, and train. Sometimes he comes in to have coffee and enjoy special patients that have become good friends. Whenever in the office, the team and patient’s feel the warmth and genuine care he has for them and passion he has for seeing the business succeed and the patients receiving quality service. I will forever be grateful for all the millions of hours he has dedicated and continues to offer for the betterment of our mission. Originally from Tennessee, he graduated from Vanderbilt University with a Finance and Philosophy degree. Graduate school in Texas and Colorado, he proceeded to serve as Commanding Officer in the US Army. He enjoyed his 35 year corporate career with Chevron in management, within the Finance, Pipeline, and finally the Supply and Distribution Division for Computer Development and System Design. His “post retirement” careers have included non-profit work for San Ramon Valley United Methodist Church’s youth house, chairman of the board for Sierra Service Youth Program, construction for schools domestic and abroad for National Volunteers in Mission Programs, and construction for Habitat for Humanity. He has worked as office manager/consultant and accountant for a construction contractor, several Dentists and part time for my SF practice for many years. 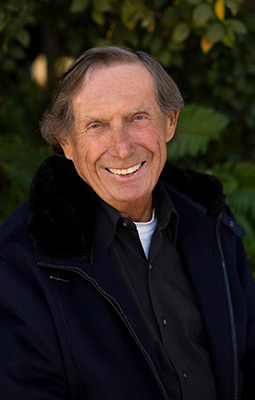 When I moved to Walnut Creek, he was instrumental in helping me design, build and grow my practice here. Currently he still loves interacting with the patients and hopes to add value to their experience by providing informative financial options for complex cases. He enjoys the challenge of simplifying answers to patients’ dental insurance questions. Additionally, he oversees the front office and the accounting for the practice. In his leisure time, Charles enjoys time with his wife Shirley and together their share traveling, wine and gourmet dinner groups, church activities, dancing, and 11 grandchildren. Charles still enjoys making a meaningful contribution in the dental practice. I am blessed to benefit from his skills and have my Dad, a true friend, closely involved in my life. My job entails coordinating the Invisalign patients, taking iTero scans, educating patients on how we may straighten or whiten teeth in our office, supporting all of the team members, and manage systems in our office to better serve our patients. I do many different things here at our office. I currently manage the front Patient Coordinator duties and assist with scheduling. I enjoy doing all of duties! I started my career in the dental field in 1990. My education is as follows: Graduated from College of San Mateo in 1990 and received my Registered Dental Assisting and X - Ray license in 1990. Graduated and passed with a license as a Registered Dental Assistant with Expanded Duties in 1992. In 2009 I was selected to be in the first graduating class in the state of California at Sacramento City College for a new exciting license, Registered Dental Assistant with Expanded Functions in the second level. This license has intensive training on placing dental restorations. I passed the exam in 2010 and I am one of the few licensed as a registered Dental Assistants with Expanded Functions II, in the state of California. I have volunteered several times for a nonprofit organization called R.A.M. that brings free dental and medical services to our local communities. When volunteering I would place fillings and educate patient on oral health. One of my favorite parts of my job is getting know the patients and helping them with any questions they may have about their dental needs or concerns. I love being able to work with a top-notch Dentist and team, so that we can provide patients with a one of a kind experience! This office is the best office I have ever work at in my 28 years of working in the dental field! The staff here at Dr. Stephenson's is un like any I have worked with before. We all get along so well and have the same professional work ethic and have the mind set of giving exceptional service to each and every patient. 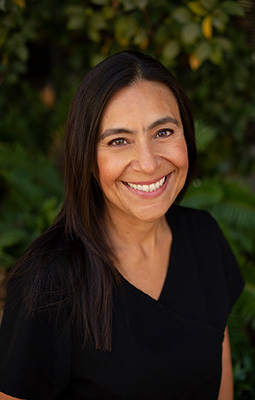 I love working with Dr. Stephenson because she is by far the best dentist, leader and boss I have ever had the pleasure to work with in my 28 years in the dental field. Dr. Stephenson's ethics, compassion, dentistry, and leadership skills make her an amazing person to work for. She is always considerate, polite, and compassionate not only to her patients but, also to her staff. I consider Dr. Stephenson's a mentor. This office is unique in so many ways, from Dr. Stephenson's attention to detail, compassion, work ethic, continuing studies on the most current health and dental updates. To the handpicked staff members who are in line with her views and techniques. Each day here at Dr. Stephenson's office is a delight! On my days off I enjoy entertaining friends and family members by the pool at our home. I also enjoy hiking, walking the dog, and painting. 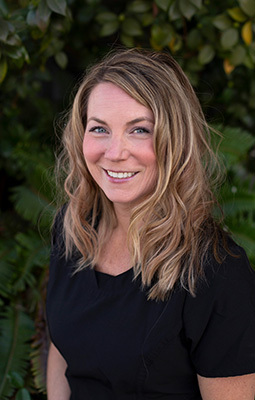 Joining Dr. Stephenson in 2017 has been a great career change for Serene, as Dr. Stephenson’s office aligns with all of her professional goals, like learning the newest technology, keeping patients comfortable, being professional and having the utmost respect and ethics regarding patient care. Serene has the utmost respect for Dr. Stephenson and loves working for her. Serene considers Dr. Stephenson her mentor. I really enjoy working with my other team members as they ALL have the same professional goals and ethics! Serene is engaged to Mana and is helping raising her finance two teenage sons Sione and Mana Jr. She also has two grown girls Kelly and Ashley. Serene enjoys biking, hiking, swimming, and going to high school football games. 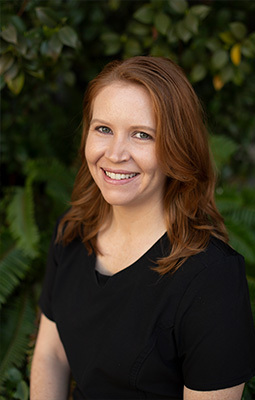 My job entails assisting Dr. Stephenson and patients during any dental procedure, making sure to provide the patient with anything they need to ensure they have the most comfortable experience possible. I take pride in taking diagnostic digital x-rays, proper impressions for anything from nightguards to bleaching trays, as well as explaining any dental procedures that will be performed. I am also responsible for ordering supplies for the back office and I especially enjoy maintaining the dental equipment, so we can operate as smoothly as possible. I started my career in the dental field in 2005. My education in the dental field is as follows: Graduated from Diablo Valley College’s Dental Laboratory Technology program in 2006 and worked as a dental laboratory technician for 3 years. Graduated from the Dental Assisting program from Western Career College in 2009 and have worked as a Registered Dental Assistant ever since. I was able to serve as a mentor in the leadership program for my fellow students during my time enrolled in the dental assisting program. One of my favorite parts of my job is being able to experience the patient’s happiness when they have received their new smile. I also enjoy being able to tend to the smallest of details when it comes to offering a patient comfort; whether it’s providing lip balm, making sure the sun isn’t in their eyes from the beautiful windows in our operatories, or remembering a small personal detail about them from a previous appointment. This office is in line with my professional goals because we strive and provide treatment and care with the patient and what will best benefit them in mind. We make a clear distinction between what is needed for proper dental health and what may just be for esthetic purposes. We uphold the highest of standards in our sterilization processes and equipment. Patient safety is of great importance and we follow OSHA guidelines in all our sterilization protocols. I also enjoy my fellow team members and assisting them whenever they need anything, which makes the office atmosphere happy and fun. 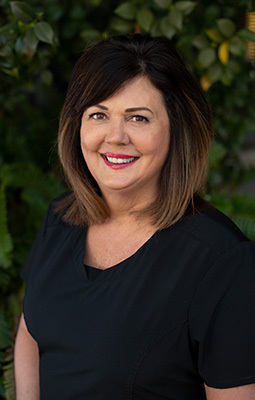 I love working with Dr. Stephenson because she is an inspiration to provide the top dental care possible and instills this in all of her team. I love being able to stand behind the quality and care being offered in our practice. It is so wonderful to be a part of Dr. Stephenson’s team and experience the personal touch given to each patient, along with the care and concern given for the quality of work we provide. In my personal life, I have been happily married to my husband Michael for many years. We have one dog named Leia (we are huge Star Wars fans) whom we love dearly. In my free time I enjoy working out and challenging myself by running obstacle races with my Dad. This office is unique because Dr. Stephenson is so caring in the way she gives a personal touch to every patient, along with the attention and concern given for the quality of work we provide. No detail is too small and no matter how long something takes it will be done properly. I have been a Registered Dental assistant since 1990. I received my dental training from Eden Area ROP, where I was licensed in 1989, and earned my Associate Arts Degree from Chabot College. Before joining Dr. Stephenson, I spent 26 years at a highly regarded private practice, that specialized in cosmetics and sports dentistry. 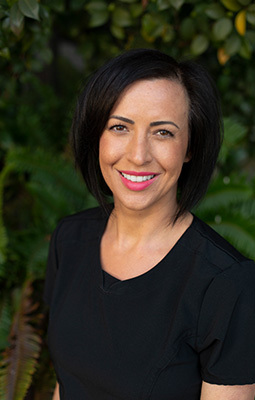 As the official team dentist to the Oakland Raiders and the Golden State Warriors, I learned many valuable skills such as producing custom sports guards to protect their teeth, as well as enhancing smiles with cosmetics and restorative procedures. My role as the Lead Assistant entailed several responsibilities including as X-rays, chair-side assisting, equipment maintenance, ordering supplies and other duties that I loved doing, and continue to do today. In 1998, on the weekends, I became involved in an advanced hands-on cosmetics course called PAC - Live. I assisted dentists from all over the country who were learning advanced dental cosmetic procedures. It was rewarding to pass on the knowledge that I was given by my mentor. The past year, I've enjoyed working at various offices as a temporary assistant. Fortunately for me, that road led me to Dr. Cynthia Stephenson. I admire Dr. Stephenson for her work ethic and attention to detail when it comes to her patient's care. She utilizes the latest technology, along with the best materials available, to ensure longevity for her patients, maintaining the best possible oral health. Dr. Stephenson thoroughly explains every step of a procedure along with visuals for the patients to better understand their treatment options. Most important, Dr. Stephenson has a gentle touch from beginning to the end of the procedure. Dr. Stephenson always makes sure the patient’s comfort is one of her top priorities. I love my job and being part of her awesome team! My job entails cleaning patient’s teeth while maintaining a gentle approach and good bedside manner. I do many things from Oral Cancer Screenings with a Velscope light, Deep cleanings with local anesthetic, placing antibiotic treatment in deep pockets to basic things like taking digital x-ray, taking impressions for bleaching trays and study models, charting gum measurements and always making sure to update patient’s chart with their current information. I began working with Dr. Stephenson’s office back in 2013. I started my career in the dental field in 2002. My education in the dental field is as follows: Graduated the Dental Assisting program from the Santa Rosa Junior College in 2003 and worked for 10 years as a Registered Dental Assistant then Graduated the Dental Hygiene program from the Santa Rosa Junior College in 2012. I have volunteered in several Children programs in the bay area placing Sealants and provided Oral Health Education. One of my favorite parts of my job is getting to know my patients through good and fun conversation, getting them comfortable with Netflix or a cozy blanket and then of course my favorite part of all is actually cleaning the teeth. Believe it or not, I actually find comfort and meditation while cleaning someone’s teeth. This office is in line with my professional goals because we are a preventative office, treat as needed or as requested by patients and always up to the highest standard of Osha’s recommendations and of course requirements. I believe preventative dentistry sets our patient’s teeth up for longevity. I feel treating what is needed and having a conservative approach, allows patients to not receive unnecessary dental work. By listening to our patients, we always strive to have a specific treatment plan that will meet their individual needs. Osha is very important in a dental office and knowing that we work over and above Osha standards, puts me at ease and makes me proud to serve my patients in a clean environment. I love working with Dr. Stephenson because she is very detailed in everything that she delivers. I love working with the entire team at Dr. Stephenson’s office because we all help each other out without even asking. We all seem to have the same goals in mind during our work day. In my personal life, you will pretty much get the same fun loving personality. I enjoy my time with friends traveling around California, all over the US and around the World. I enjoy my family time with my parents, 5 siblings, 3 nieces and 3 nephews. I love to stay active and eat healthy. This office is unique because Dr. Stephenson is like no other Dentist I have ever met. She is the most thorough when it comes to her dental restorations, oral hygiene instructions and cares about the overall health of a patient. She will even do her own biopsy when oral tissue looks suspicious which again, is very preventative. My role as a hygienist is to educate my patients, and provide a welcoming and clean environment. I try my very best to make my patients feel safe and relaxed. I also believe in providing my patients with a thorough but, gentle professional cleaning. Lastly, I listen to my patients concerns and try to communicate in an effective, and polite manner. I began to work with Dr. Stephenson in 2018. I started my dental career in 2002 My education back ground is as follows: I graduated in 2002 from Diablo Valley College in Pleasant Hill, CA. I received a certificate in Dental Hygiene. I achieved an AA in Allied Health and Biological Sciences from Chabot College. My favorite part of my job is building relationships with patients and creating a comfortable environment , where they look forward to coming back to see me. I love working with Dr. Stephenson because she is the most thorough, compassionate, caring, knowledgeable dentist I have ever worked with. I feel her dentistry is amazing and the best I have ever seen in my 16 years of being a dental hygienist. This office is unique in that we really do treat every patient individually and customized to each to each individual patients needs. We provide TLC along with great dental care. Our office cares about the patients needs, wants and financial abilities. Dr. Stephenson and the rest of the team members always welcome you with a smile! I am married and have two little girls who keep me on my toes on my days off. We stay very busy with school, swim, gymnastics, horseback riding, and everyday play! On the occasion we get a chance to get away, we like to head out to Paso Robles where we were married and go wine tasting. Special Goodbyes: We want to saying goodbye and recognize some team members whose key contributions and loyalty were instrumental in our building a business here and forwarding our mission to care and serve our patients. Kathy Murphy, Vanessa Sorrells, Jennifer O’Brien, Jordan Tu’ua and Madolynne Bohn have celebrated some retirements, new babies, and moves. We acknowledge and appreciate their many years of skill, service and dedication to our mission and who were here to help us build the practice from scratch, Now in its 8th year, the Walnut Creek practice has matured to the level where we can build an equally skilled and robust team of highly competent cross trained members. We have searched and searched for the magic dust that will offer patients warm, caring, compassionate individuals that also have the essential highly skilled attributes that will make your experience wonderful on all levels. We are excited to look toward the next decade and beyond ever committed to continuing our education and giving you our very best, individually and collectively. As we launch our new web site is my pleasure to introduce you to some familiar and some new faces.